The science behind offering discounts! Everybody loves to save money whenever they can. That’s why approximately $3.4 billion worth of coupons are redeemed each year. You can use coupons and price promotions to steer customers toward purchasing certain products or to boost sales during a certain period. Though shoppers now practically demand deals, they still find delight and joy in receiving an exclusive offer. The welcome surprise of a promotional sale in a customer’s inbox is enough to spark an excited shopping spree. Brands that issue special offers create win-win scenarios for shoppers who save money and retailers who grow their sales. 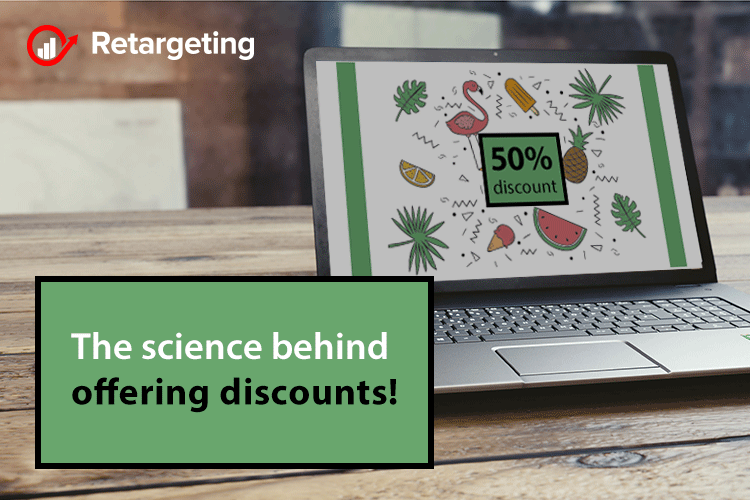 In order to help you devise a plan to use coupons and discount marketing for your business, let’s take a look about the science behind it all. Give confidence to first-time buyers! If you have a new product or service, then discounts and coupons are essential to attracting new customers. Many shoppers do not feel comfortable paying full price for an item or service that they have never purchased before or know nothing about. Statistics reveal that customers are motivated to complete a first-time purchase when they are able to redeem a coupon. In the absence of a special deal, they would otherwise abandon their carts, some feel a first-time buyer discount is mandatory for brands looking to acquire new customers. The opportunity to try it out at a discounted price can quickly change the shopper’s attitude toward the purchase. Once your discount strategy gets people to take a chance on your product, you open the door to creating long term customers. Discounts are not only a way to acquire new customers, they’re also a way to show your gratitude to your existing customers. What better way to show that gratitude to your most valuable customers than to give them a discount. Giving discounts can come in the form of sending your best clients a free product, a discount code or whatever else you can think of. These discounts or gestures don’t actually have to be that big to make someone appreciate the effort. In fact, the customer won’t only appreciate it, the customer’s behavior will actually change as well! It’s as they say: it’s the thought that counts. Using coupons and getting discounts actually makes people happier. Redeeming coupons creates higher oxytocin levels and results in lower levels of stress, according to a recent study. The research showed that getting a coupon is more enjoyable than getting a gift. Receiving an unexpected discount causes shoppers to feel excited and ready to spend money. Additionally, shoppers spend more money in order to use a coupon that has a minimum threshold. Create a Sense of Urgency! Discounts and coupons with a clear expiration date boost sales because they create a sense of urgency. Shoppers feel that if they don’t take advantage of the discounted price now, then they’ll have to pay more for it later. Additionally, they don’t want to feel like they are missing out on anything. According to psychologists, people seek pleasure and avoid pain. The anticipation of missing out on a discount is definitely a pain people will want to avoid. Generation C, the voice that you can’t ignore! Blockchain: How will it change social media?